Most people are used to driving car with just under 100 horsepower, imagine getting behind the wheel of a car with 650 horsepower. 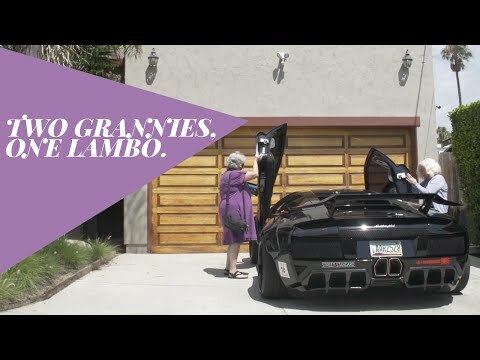 These two grandmas were given the opportunity of driving a lamborghini with 650hp and their reactions were hilarious. Peggy and Audrey used the car to run errands, like running to the grocery store and running around town. As they drove around town, no-one expected two elderly women inside the car and one bystander even asked if there was space for him in the car too.